Troops, bikes, and walker alone do not only make a battle in the fields of the Galactic Civil War. 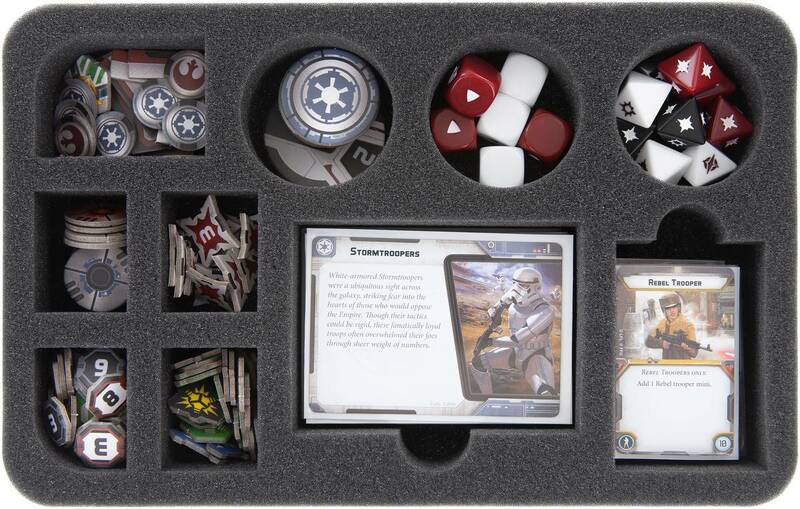 Without token and dice or unit, command and battle cards, you can not fight a battle. 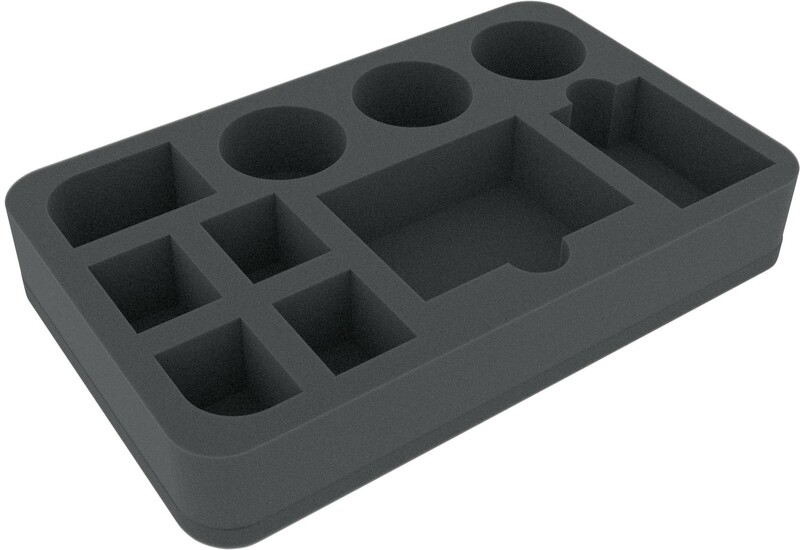 Of course, we have the right foam tray for you to keep them well sorted and kept clean. The half-size foam tray offers one compartment each for the small and one for the big cards. In three round shaped and five rectangular compartments you can sort markers and dice. You can fill the individual compartments up to a usable height of 35 mm. 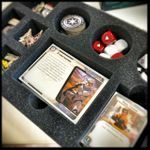 So you not only have a quick and good overview of your game accessories, but also always ready for transport to the next game.